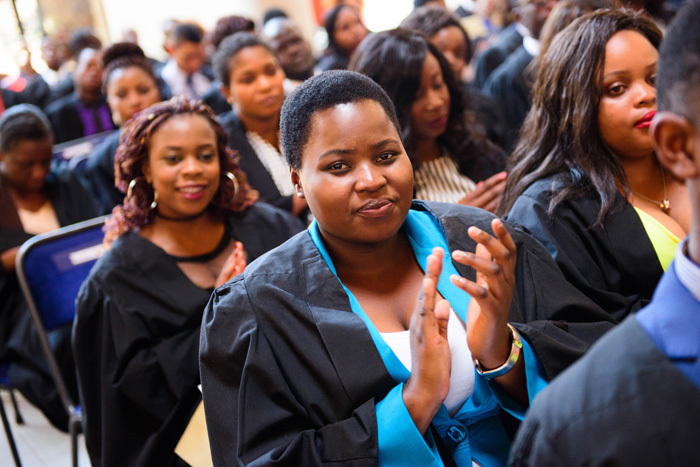 Africa University formally welcomed 413 new full-time students at a colorful matriculation ceremony on September 30th. Though unique and surprising to many of this year’s participants, the students described the event as deeply moving. “I will definitely say that on that day, the dream was not only alive, it was in motion, my dreams, my family’s dream – in motion. It had begun,” said humanities student, Beatrice Ndemera, from Zimbabwe. 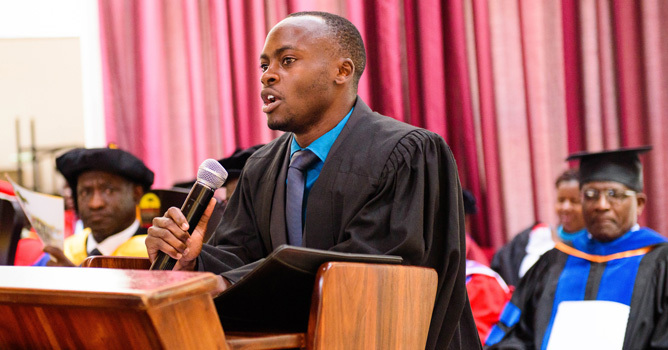 “I could feel that it’s not just about me, it’s about my people, my continent and changing Africa’s future through learning,” added Edipo Ilton Isabel Damiao, a Mozambican who has enrolled in the college of health sciences. After taking the oath of allegiance to Africa University and pledging to respect its rules and authorities, the students had their names inscribed on the official register. “It’s a great experience having signed a partnership with AU—a great institution in Africa,” said Daniel Bishagari, a student from the Democratic Republic of Congo who addressed his fellow freshmen during the ceremony. “Matriculation forecasted my future graduation,” said Tatenda Mangwende, who is studying business. “It was like I have already achieved something that I have to work for. I now have the zeal and enthusiasm to work hard to obtain my first class degree. 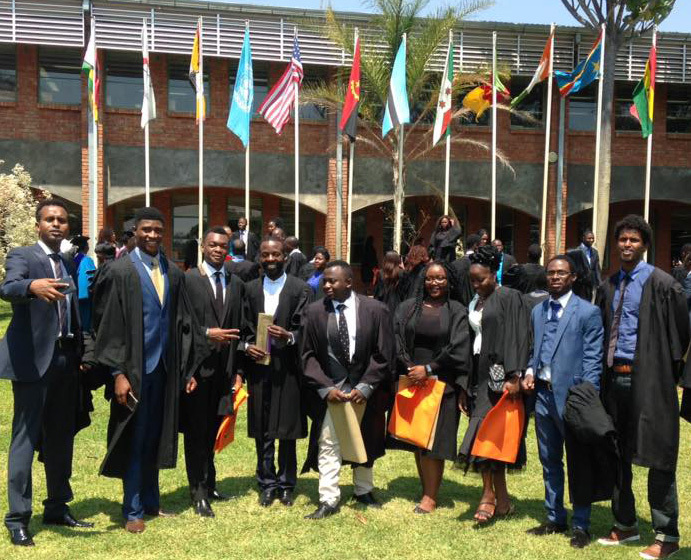 A similar ceremony will be held on October 8 in Harare for 69 students enrolled through distance learning. The total number of students matriculating this year is 482. The freshman class of 2016 is a diverse group that represents the pan-African nature of the institution and its intentional focus on outreach to women, orphans, and refugees, who are often at a disadvantage in accessing higher education opportunities. New countries represented with the student body this year include Sao Tome and Principe and Congo-Brazzaville.